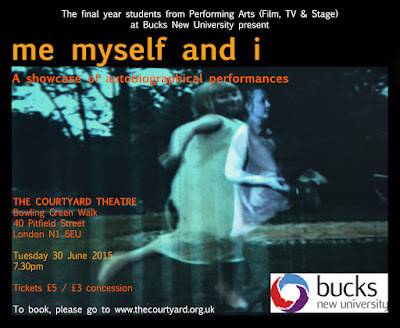 Performed by Jenny Wade, Cassie Fletcher, Modupe Salu, Adam Zaman and Esther Abe. The BA (Hons) course at Bucks New University offers a unique opportunity to study Performance with the latest technology in every conceivable context, including stage, film, emerging media platforms, multi-media and site-specific work. The performances presented were created as part of the students’ individual research for their final year dissertation.